I just got my hands on the new 2016-17 Stampin’ Up! catalog and it’s awesome!! I’m not able to share any pictures of the new items with you until next week, but keep an eye open for photos coming soon! I used the Stampin’ Up! Another Thank You and Floral Wings stamp sets to create my card for the Fab Friday sketch challenge this week. I used the Stampin’ Up! stamp set called Another Thank You and a little of the new Neutrals DSP Stack to create a set of thank you cards to share today. I hope that I’m not the only one still trying to finish up the holiday thank you’s! I thought that I’d share the quick thank you notes that I created using the Festival of Trees stamp set from Stampin’ Up! This stamp set and matching punch are carrying over through the Occasions Catalog so they’ll be available until at least June 2. Another Thank You CAS Fall Card and Gift Box – Stampin’ Up! I used the Another Thank You stamp set and the Gift Box Punch Board from Stampin’ Up! to create a little thank you gift to share today. Kinda Eclectic Thank You & New Photopolymer Stamp Set Plus Weekly Deals from Stampin’ Up! I used the Kinda Eclectic stamp set and the new Gift Card Envelope & Trims Thinlits Dies from Stampin’ Up! to create a little thank you gift. My card design was inspired by the Try Stampin’ on Tuesday #184 sketch. Our theme this week is “back to school.” I know this isn’t very school related but I thought a thank you card and gift card set would be perfect since I’m always in need of those for teachers/school bus drivers/teacher assistants!! World of Dreams Paint Chip Card & New Weekly Deals from Stampin’ Up! I used the World of Dreams stamp set from Stampin’ Up! to create a paint chip/ombre effect card to share today. The colors for my card were inspired by one that my team member and friend, Heather Van Looy created. You can see her beautiful card here. Happy Stampers Annual Catalog Blog Hop, Blog Candy & New Weekly Deals from Stampin’ Up! 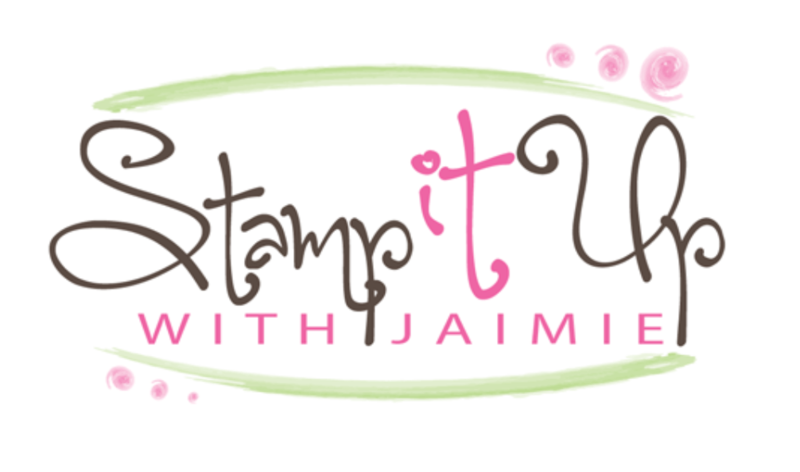 The Happy Stampers are doing a little blog hop today featuring items from the Stampin’ Up! Annual Catalog. Be sure to stop by all of our blogs and leave a quick comment, we’re all offering some blog candy too! I wanted to send a little something to my downline team members this week so I decided to create some cards and gift bags for them. Since I was creating several of each, I kept the designs fairly simple. I used the Beautiful Bunch and So Very Happy stamp sets for my cards and the Skinny Mini Alphabet and Another Thank You stamp sets for my gift bags. Kinda Eclectic Thank You – Stampin’ Up! I used the Kinda Eclectic stamp set from Stampin’ Up! to create my card to share today. My card design was inspired by the Stamping and Blogging SB63 Sketch. The Stamping and Blogging Design Team added another new member this week! So be sure to click the links below to see what everyone else has created with this sketch too. Stampin’ Up! 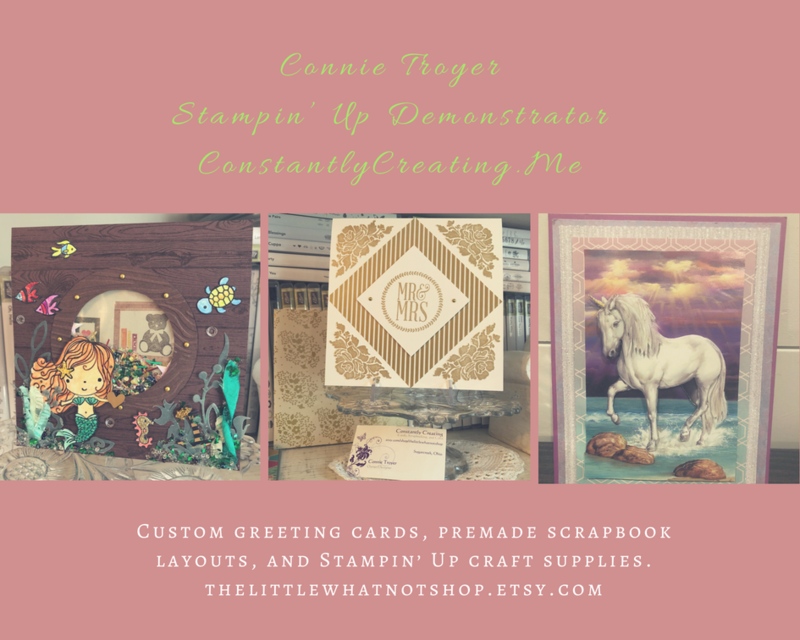 has recently started carrying a line of Project Life items and Heather Van Looy and I both wanted to share things we’d made items from Project Life by Stampin’ Up! with you today. Traveler With a Post Card & New Weekly Deals from Stampin’ Up! I pulled out the Traveler and Post Card stamp sets (okay and a few others too!!) to create a card for the Try Stampin’ on Tuesday 170 sketch challenge. Be sure to stop by the Try Stampin’ on Tuesday blog to see what the other design team members have created too!